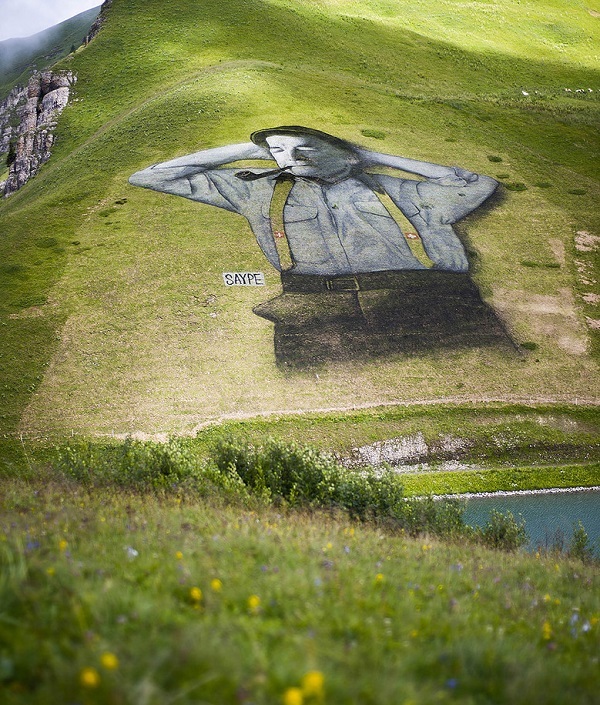 Holy moly, I love a hidden gem and this monumental land art piece in the mountains of Leysin in Switzerland is no exception! 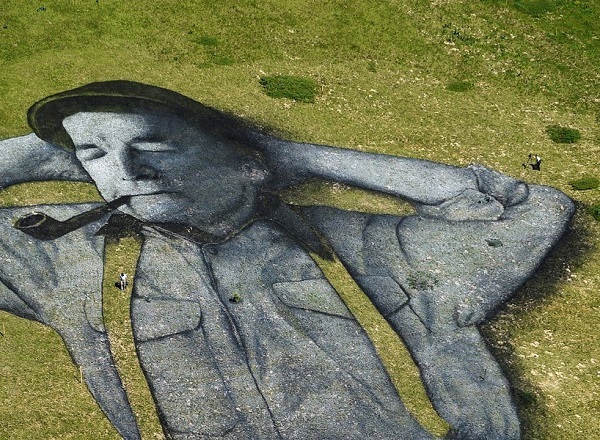 This rather wonderful 10,000 square meter man simply chilling on the side of a hill makes me want to not only travel to Switzerland, but also to pop by our local park and stretch out on the cool morning grass. Beautiful, isn't it? P.S: Do you remember this rascal? Or this hidden little gem? P.P.S: Also, don't miss our beautiful personalized cuff GIVEAWAY this week! That's so crazy and cool!